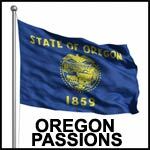 I am just an Oregon I am currently just looking for someone to hang out with. Laugh and be silly with. Does upsidedown4u2 belong in this group? Roxie19 im fun, unique, and im looking for some new friends. Does roxie19 belong in this group? Ditch122 I was born and raised in Oregon. It's a beautiful state. Eugene ace artist and mom I've lived in Oregon all my life. And even though I've been abroad a bit I always find that this is where I feel at home. I love the rain and the trees and just everything about oregon life. Does acekitty belong in this group? Old School Goth chick I'm Misha, a 36 yr old goth chick just out here looking for my darkest love. Does reb491 belong in this group? Does elusivebttrfly belong in this group? Does baschiuin belong in this group?